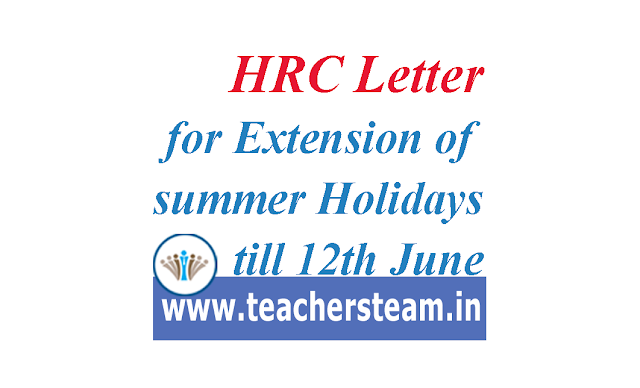 the Child rights union has demanded for extension of summer holiday upto 12th june in Telangana state and filed a petition in Human Rights Commission stating that Telangana Government is reopening the schools on 1st june. in this hot summer students may affect by the sun rays. In view of the above, the Human Rights Commission has wrote a letter to the Principal Secretary to the Government, Education Department requesting for extension of summer holiday upto 12th june as the hot summer is harmful to the school children.